What is the Corona Virus? It causes coughing, fever and pneumonia and the first cases are showing up in Italy. It is a lot like the SAR's virus that devastated China and caused a worldwide pandemic panic. Officials are on the lookout for any people traveling from the Middle East who might have symptoms of the virus so they might immediately be quarantined before they can spread the virus to others. H7N9: Is the flu drug resistant? Is there a drug resistant form of the H7N9 flu? Apparently so according to a study published in The Lancet, the worlds leading general medical journal. They found that typical antiviral drugs such as Tamiflu that are most often used to treat flu outbreaks are not effective against H7N9 viruses. Since these are the only treatments that have been effective on these types of flu strains to data, this is very concerning to the Centers for Disease Control and World Health Organization. Update: H7N9 Virus May be Airborne! 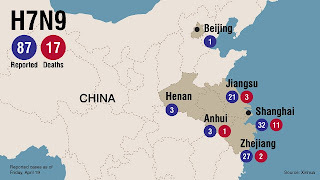 H7N9 Avian Flu..Can it become airborne? So the flu is not something we are typically worried about this year, but with the outbreak of the H7N9 flu virus, it has become more of a concern around the United States and the World. Flu season is usually at it's worst in the U.S. in the early months of the year and will begin to taper off at summer approaches, but because of the unpredictability of these viruses it is always important to stay prepared for an outbreak of some sort to occur at any time of the year. 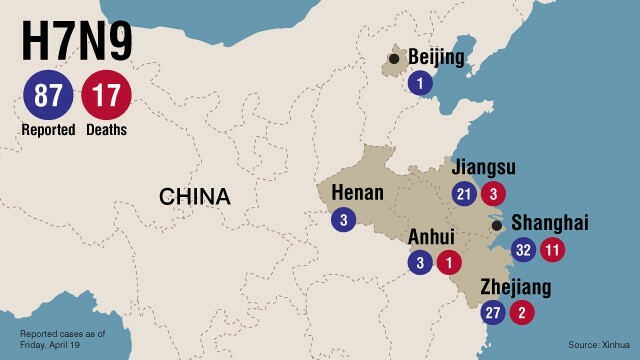 The recent outbreak of the H7N9 Avian virus is cause for some concern, since the fatality rate is relatively high for those who contract the illness. Based on current information, the rate of mortality is approximately 28% (37 of the 132 people who contracted the virus have died). According to the World Health Organization, it is a virus that is common to birds, but is not normally seen in humans. Chinese scientists found that hybrid viruses can be combined to form airborne viruses that can be spread between guinea pigs, thus, they can spread mammal to mammal. This does not bode well for humans, however, we can only hope they stop this testing before they let loose one of these mutated strains on the human population and create a pandemic. Regardless, we should all be taking precautions to protect ourselves from flu viruses. It is more important now than ever to avoid habit such as coughing into your hands, eating finger foods where multiple hands have been, sharing utensils, etc. Doing things like washing your hands regularly, coughing into the crook of your arm or shoulder, avoiding habits such as spitting that can send particles into the air around you. Teaching children to maintain good habits and keep their hands away from their face is a great idea as well.We can all play a part in keeping these viruses under control by just using basic common sense. We do not know yet whether this particular virus can become airborne. 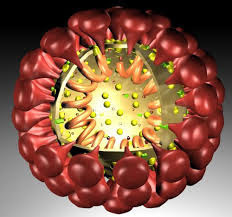 It has not shown any signs of jumping from one human to another through airborne transmission, however, since flu viruses mix and mutate, there is always the potential. Stay updated for the latest information on the H7N9 Avian virus.